While every injured biker has a unique experience, it’s surprising how certain questions crop up with every motorcycle injury case. We’ve gathered together the answers to some of those popular questions to build our Frequently Asked Questions (FAQ) resource. Stop by to see if we have already responded to some of your most pressing concerns. If your key question hasn’t been answered yet, please call us directly for personalized help. What are my rights after being injured in a motorcycle T-bone collision? Motorcycle crashes can result in seriously disabling injuries, especially when the accident is a T-bone collision. If you have recently been in this type of accident, you may be entitled to compensation via a personal injury claim. T-bone collisions occur when the side of one vehicle is hit by the front of another vehicle. This type of accident can happen when a motorcyclist is driving through an intersection and a car travelling perpendicularly strikes him in the side. Motorcycle T-bone accidents have a number of causes and are typically not the fault of the motorcyclist. Often, the other driver is speeding, running a red light, or engaged in distracted driving at the time of the accident. Since motorcycles are smaller than cars or trucks, it is easy for inattentive drivers to fail to notice the motorcyclist until it's too late to avoid a collision. If the accident was caused by a criminal offense such as drunk driving, evidence from the criminal case can be used to support your personal injury claim. Since a personal injury claim is a type of civil litigation, these two cases are considered separate legal matters. Punitive damages are damages that are intended only to punish the defendant. They are not often awarded in motorcycle accident cases but could be requested if the driver who caused your injuries was exceptionally reckless. You can still receive compensation in a personal injury settlement even if you are determined to be partially at fault for the accident. However, your settlement will be proportionately reduced by your assigned percentage of fault. If you were not wearing a helmet at the time of your motorcycle T-bone accident, you will be found partially at fault for your injuries unless you can prove that helmet usage would not have prevented your injury. This is typically accomplished by presenting your medical records and testimony from experts familiar with the type of injury you have suffered. T-bone collisions have a high fatality rate, especially when a motorcyclist is involved. In cases with fatal accidents, the surviving family members can file a wrongful death claim on behalf of the deceased. This is a type of personal injury claim seeking damages for medical expenses up to the time of death, funeral and burial costs, loss of future wages, applicable pain and suffering, and loss of the care and companionship of the deceased. Personal injury law can be quite complex, and insurance companies are in no hurry to settle a case. To protect your financial interests, it's best to contact an experienced attorney as soon as possible. Your attorney can gather evidence to support liability, document your damages, and advocate for the highest possible settlement. Typically, Louisiana law allows one year after the date of the motorcycle accident to file your claim. If I have motorcycle insurance, why hire a lawyer after my accident? After sustaining injuries in a motorcycle accident caused by another party's negligence, it's in your best interests to seek legal representation as soon as possible. Your insurance may cover some of your losses, but a personal injury claim against the at-fault party is the best way to protect your financial future. Motorcycle accidents often result in serious injuries, including traumatic brain injury (TBI), neck injury and back injuries, and spinal injury. These conditions require extensive rehabilitation and therapy. You may also be struggling with anxiety, depression, PTSD, or other mental health symptoms related to the trauma of the accident. 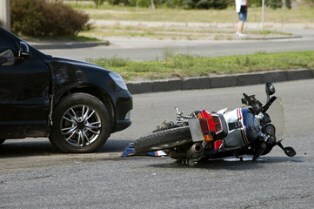 When you hire a motorcycle accident lawyer, he can handle the communication with the insurance company on your behalf. This allows you to direct your full attention on following your doctor's treatment plan. Insurance companies are focused on making a profit. Whether or not your settlement adequately compensates you for all of your accident-related expenses is of no concern to them. Without an experienced motorcycle accident lawyer on your side, you risk being offered a settlement that's far too low to pay for all your necessary expenses. Personal injury law is complex, which means you can accidentally damage your case without knowing it. Consulting a motorcycle accident lawyer can help you avoid the most common mistakes such as allowing your statement to be recorded or signing papers you don't fully understand. Louisiana's comparative fault system allows you to still collect damages in a personal injury claim even if you're partially at fault for the accident that caused your injuries. However, your settlement is reduced by your percentage of fault. If you're partially at fault for the accident, a lawyer's negotiation skills are essential to protecting your right to a fair settlement. There is no set formula that is used to determine fault percentage in a personal injury claim, so your lawyer can increase your compensation by arguing on your behalf for a lower percentage of fault. A lawyer's negotiation skills will be particularly helpful if you weren't wearing a helmet at the time of the motorcycle accident. Being in violation of the state's mandatory helmet law will cause the defendant's attorney to argue that you're partially at fault for your injuries, but your lawyer may be able to argue that helmet use is irrelevant because a helmet wouldn't have prevented your injuries. Expenses you've already incurred can be documented with bills, invoices, and pay stubs, but future expenses will require your lawyer to locate expert witnesses who can testify on your behalf. These experts can help to estimate your future medical expenses, as well as the value of any lost future earning potential. The other party had a duty to act in a way that reduced the risk of injury to himself and others. The other party did not live up to expectations for safe behavior while driving. You suffered injuries and other related damages. Your damages are the result of the defendant's negligence in causing the accident. What do I need to prove to have a successful motorcycle accident case? Motorcycle accidents often involve serious and permanently disabling injuries, which is why it's vital that you protect your right to compensation by filing a personal injury claim within Louisiana's one-year statute of limitations. Filing promptly will allow you ample time to gather the necessary evidence to support your case. Any successful personal injury claim rests on your ability to prove negligence. Legally, negligence refers to failing to exercise a duty of care that meets the standards of a reasonable person. In terms of a motorcycle accident, negligence would involve actions such as speeding, running a stop sign, failing to signal a turn, distracted driving, or drunk driving. As the plaintiff, you must establish the following four elements. The defendant had a duty to act in a way that reduces the risk of injury to himself and others. The defendant did not live up to expectations for safe behavior. You suffered specific injuries and other related expenses. Your damages are the result of the defendant's actions and not attributable to some other cause. Louisiana uses a comparative fault system to assign responsibility for personal injury expenses. If you are determined to be partially at fault for the accident, you can still collect damages. However, your settlement will be reduced by your assigned percentage of fault. One common way in which motorcyclists are determined to be partially at fault is by not wearing a helmet. Since helmets are legally required and proven to reduce the risk of head injuries, you will likely to be found partially at fault if you weren't wearing a helmet at the time of the accident. However, if you suffered no neck or head injuries despite your lack of a helmet, your failure to wear a helmet will be considered legally irrelevant. In most cases, the size of your motorcycle accident settlement is limited by the available insurance. While jury verdicts can and do exceed the limits of insurance policies, collecting is often impossible if the defendant has no other assets. However, Louisiana law requires all drivers to have uninsured/underinsured motorist coverage (UM or UIM) unless they waive this option in writing. Therefore, your own insurance coverage may be able to provide additional reimbursement. Motorcycle cases can be challenging because of the mistaken belief that riding a motorcycle is inherently dangerous. When motorcyclists are perceived as being careless with their personal safety, it becomes more difficult for them to get the compensation they deserve. How do I protect my right to compensation after a motorcycle intersection accident? Intersections are one of the most dangerous spots for motorcycle riders. Drivers who are distracted, intoxicated, or careless can easily cause motorcycle accidents that result in serious or even fatal injuries. No matter how experienced they are, motorcycle riders can't maneuver their bikes as quickly or safely as a driver can stop a passenger vehicle. When a driver runs a red light, it's often impossible for a motorcyclist to avoid the collision. 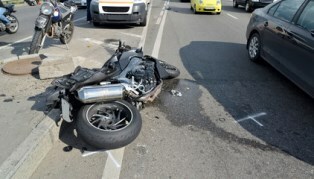 These types of motorcycle accidents are almost always caused by a distracted or careless driver who simply didn't see the motorcyclist in his way. However, they can also be caused by drivers are who are in such a rush that they fail to yield to traffic coming from the other direction. Since motorcyclists don't have seat belts or the protection of a fully enclosed vehicle, even a rear-end collision at a relatively low speed can be deadly. The smaller size of a motorcycle makes it easy for drivers to miss seeing a bike that's in their blind spot. Visibility can also be affected by poor weather or a lack of suitable lighting at night. Wearing a helmet and thick leather boots, jacket, and pants can prevent some injuries, but motorcyclists are still at risk even if they've taken all of the recommended safety precautions. Keep in mind that if you were not wearing a helmet at the time of the accident, you may be found to be partially at fault for your injuries. This will reduce your compensation by your assigned percentage of fault. However, if you can show evidence that your injuries would have occurred even if you were wearing a helmet, you may be able to still receive full damages. Punitive damages are damages that are intended to punish the defendant instead of reimbursing for actual damages the injured person has suffered. 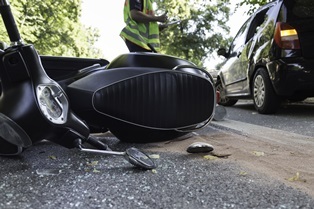 Punitive damages are not typically a part of a motorcycle accident settlement; however, they can be awarded in personal injury and wrongful death cases if the conduct that caused the accident shows particularly reckless disregard for the safety of others. For example, accidents caused by extreme intoxication, drag racing, or playing chicken would demonstrate signs of gross negligence. Is the 'No-Pay/No-Play’ statute too tough? Can I receive compensation for injuries in a motorcycle accident if I wasn’t wearing my helmet? Motorcycle accidents often result in very serious injuries, which is why it's vital to protect your right to compensation by filing a personal injury claim as soon as possible. However, if you weren't wearing a helmet at the time of the accident, keep in mind that your ability to recover damages may be affected. "No person shall operate or ride upon any motorcycle, motor-driven cycle, or motorized bicycle unless the person is equipped with and is wearing on the head a safety helmet of the type and design manufactured for use by operators of such vehicles, which shall be secured properly with a chin strap while the vehicle is in motion. All such safety helmets shall consist of lining, padding, visor, and chin strap and shall meet such other specifications as shall be established by the commissioner." There is a $50 fine for violating the law. If you weren't wearing a helmet and suffered head or neck injuries, it's likely that you'll be found to be partially at fault for your injuries. Under the doctrine of comparative fault, your ability to recover damages will be reduced by your assigned percentage of fault. This means, if you're found to be 50% at fault for your injuries, you'll only be able to collect 50% of the settlement you'd otherwise receive. However, you may be able to increase your compensation if you can provide evidence indicating that your injuries would have occurred even if you were wearing a helmet. If you weren't wearing a helmet and suffered no neck or head injuries, your failure to abide by the state's helmet law is considered legally irrelevant. Injuries to the arms, legs, and/or torso can't be prevented by helmet use, so your lack of a helmet is not an issue in your ability to recover damages. Keeping careful records of your medical expenses and lost wages is essential in protecting your right to compensation, since pain and suffering is most often calculated as a multiplier of these expenses. 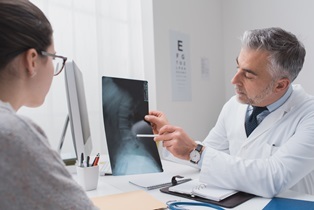 In cases involving permanent disability, expert testimony is often used to establish the level of compensation necessary to account for future medical expenses and loss of earning potential. 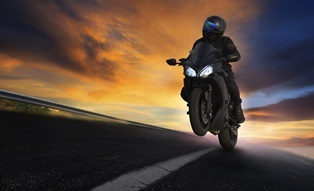 Personal injury claims involving motorcycles can present complex issues. Protect your right to compensation by retaining the services of an experienced attorney who can assess the value of your case, line up necessary documentation, locate appropriate experts to testify on your behalf, and negotiate with the insurance company for the highest possible settlement. Motorcycle accidents can result in serious or life-threatening injuries, creating a significant financial burden. However, if your accident was caused by another party's negligence, you may be able recover some of your accident-related expenses by filing a personal injury claim. Medical expenses can be documented by providing copies of billing statements received from the hospital or your insurance company. If the motorcycle accident has left you with a permanent disability, you may be facing substantial future medical costs. The estimated cost of your care, as documented by your doctor and other relevant experts, can be included in your claim. Lost income includes all of the time you were unable to work during your recovery. Time missed after you returned to work to attend follow-up doctor visits can also be included. You can document this loss by showing pay stubs or proof of sick leave or vacation pay used during this time period. If your injuries have left you unable to return to work, working only part-time, or working in a lower paying occupation, you can seek damages for loss of future earning potential. Since it's difficult to calculate the loss of hypothetical future wages, you'll need an economic loss or vocational expert to testify on your behalf. When you're self-employed, lost income includes lost earnings from the time you were unable to work as well as lost profit, loss of future business opportunities, and loss of goodwill. Your attorney will advise you on the best way to document these losses. Pain and suffering compensation is intended to compensate you for both the physical pain and emotional trauma associated with your injuries. This includes symptoms such as depression, anxiety, and flashbacks—which may be associated with PTSD related to your accident. Since pain and suffering doesn't have a readily associated dollar value, it's most often calculated using a multiplier of your medical expenses. Exact procedures vary, but it's typical to use a multiplier between 1 and 5—with permanently disabling injuries receiving the highest multipliers. Punitive damages are intended solely to punish the defendant. Punitive damages are relatively rare in personal injury claims but can be an option to pursue when the at-fault driver was particularly reckless in causing an accident that resulted in very serious injury. There's a common misperception that bikers are careless with their own personal safety, but studies indicate motorists are actually responsible for the majority of collisions. When your injuries are caused by someone who doesn't respect the rights of bikers on the road, punitive damages may be appropriate. For example, a drunk driver or overly aggressive motorist might be held liable for punitive damages if the accident resulted in lifelong disability for the motorcyclist. If you were determined to be partially at fault for the accident that caused your injuries, this does not prohibit you from filing a personal injury claim. However, your settlement will be reduced by your assigned percentage of fault. 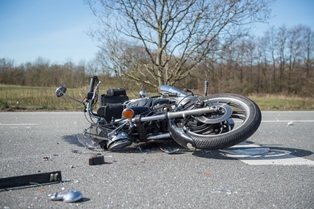 The best way to protect your right to compensation following a serious motorcycle accident is to retain an experienced personal injury attorney. Insurance companies place top priority on protecting their bottom line, which means they're reluctant to settle claims for what they're truly worth. Your attorney can maximize the size of your settlement by handling communication with the other driver's insurance company, collecting documentation to support the extent of your injuries, and contacting any applicable expert witnesses to testify on your behalf. How do I calculate lost income if I’m self-employed?